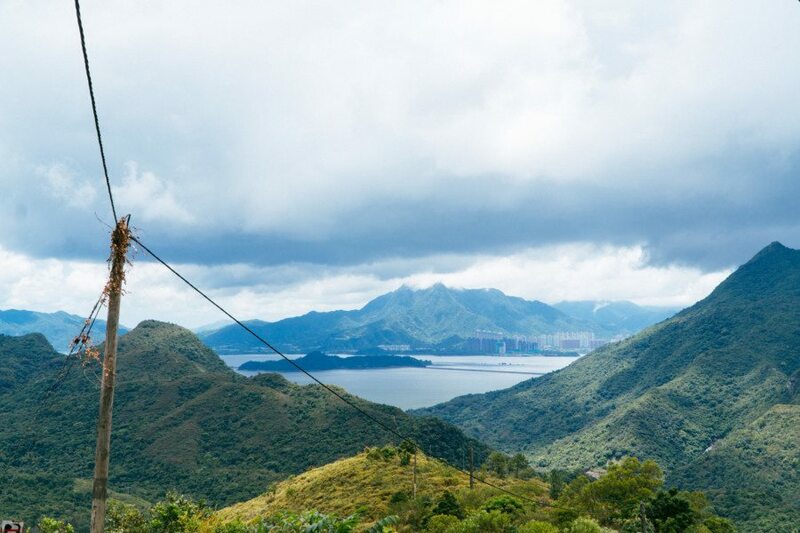 Whether you like hitting the best beaches, trying out different water sports or checking out islands around Hong Kong, there’s no denying it: there are so many fun outdoor activities that you can do outdoors in the city. And one of our favourite ways to de-stress and relax on the weekend is to go hiking in Hong Kong, so we’ve put together a list of the best hiking trails across the region. Be sure to pack plenty of water before you head out on your adventure! 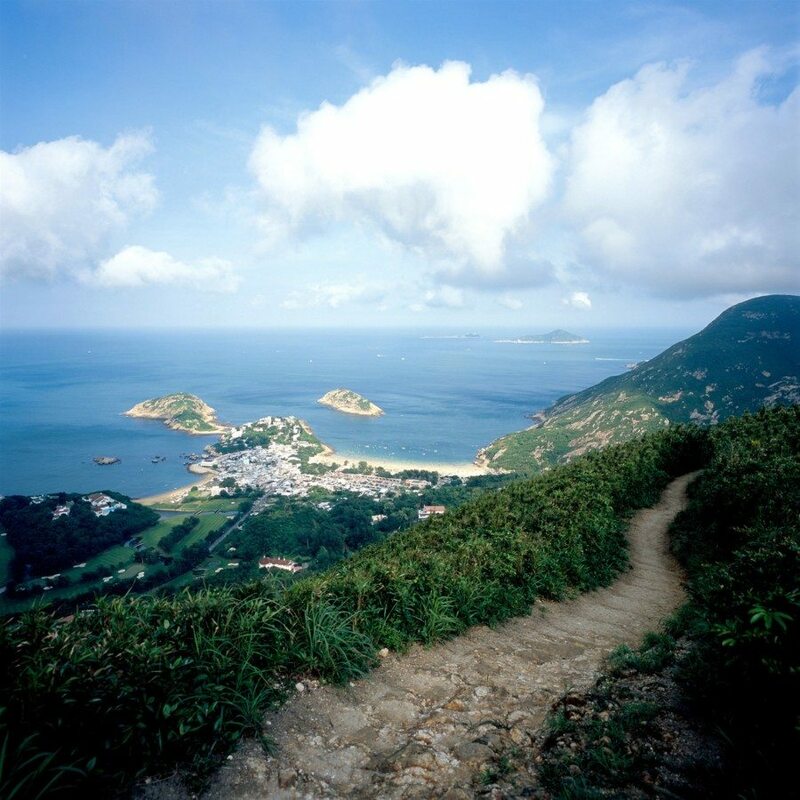 This is a challenging multistage trail that passes through the beautiful landscape of Hong Kong’s southernmost island. Hiking up even a small segment of this mountain provides breathtaking scenery. You’ll witness the most beautiful rock formations as you walk across Cheung Shek Pai, where a series of gigantic rocks forms a natural track. 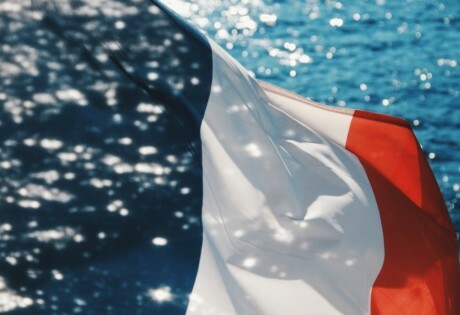 Most notably, you’ll find yourself in awe at the two most recognisable landmarks of Po Toi: the gigantic palm and a huge tortoise making its way uphill – both naturally carved on these cliffs by the elements of nature! The best part, you can even opt to stay the night by simply pitching up your tent at the site of the base camp. On the way down, be sure to try some seaweed soup and take home some dried seafood products – as the island’s seaweed is equally renowned as its rock carvings. 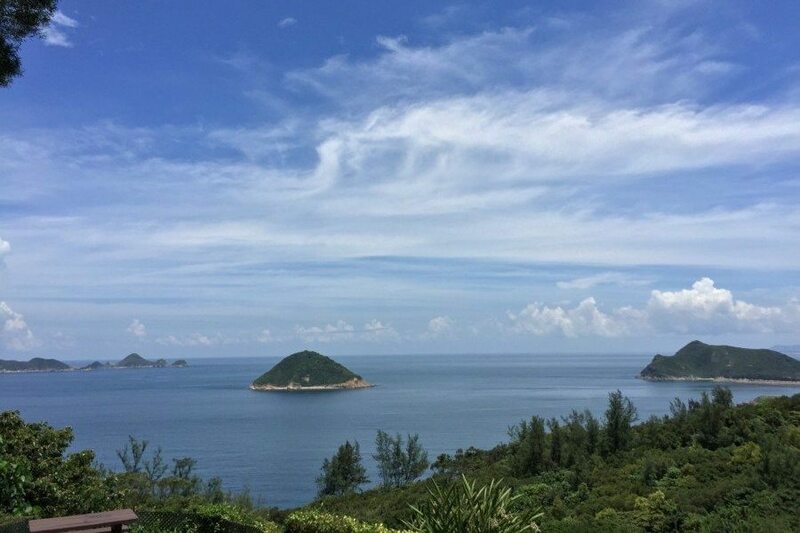 Find yourself caught up in the beauty of Clearwater Bay as you hike along the Lung Ha Wan Country Trail. The trail is incredibly family-friendly as it is very accessible, and it’s an easy hike, popular among families with young children. Find plenty of scenic views along the way like sea caves and nearby islands and even bring your own kite to fly! This is one of our favourite places to go hiking in Hong Kong. 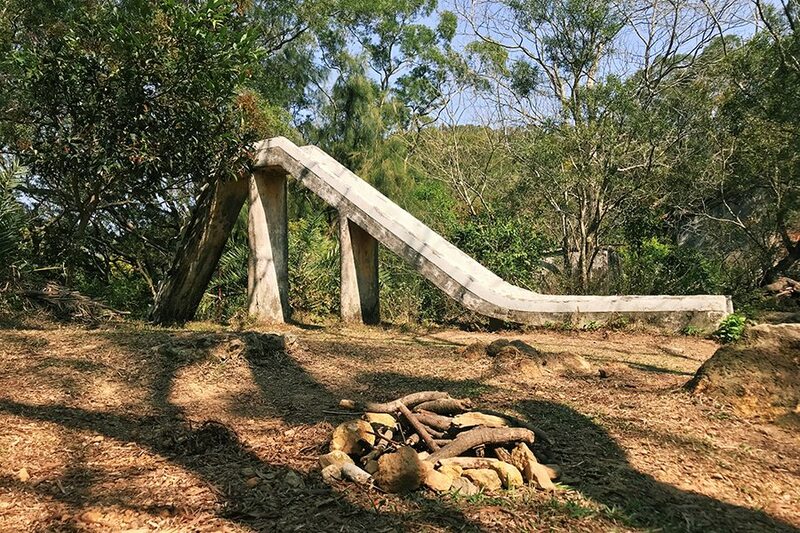 Leading from Tung Chung to Tai O, Tung O Ancient Trail is a rather long but not too complicated trail – great for families who love hiking in Hong Kong! 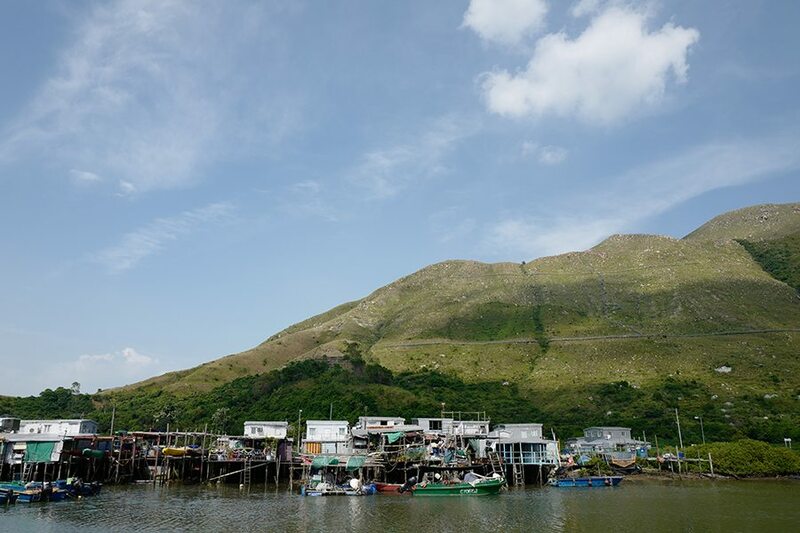 The trail offers an array of fascinating things to check out during the hike, including Hau Wong Temple that is built in 1765, beautiful Stilt Houses, Tai O Heritage Hotel and the Northwest Lantau Coast, so you won’t get bored. To get there: Walk from Tung Chung MTR Exit B, take bus 3M, 11, 23 OR 34 at Tung Chung Bus Terminus. Get off at Ha Ling Pei and walk to Tung Chung Fort. If you fancy a nice long trail for hiking in Hong Kong, try Yuen Tsuen Ancient Trail starting at Allway Gardens. 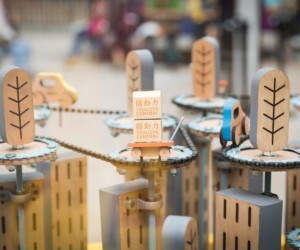 Used to be an essential path for people to go from Tsuen Wan to Yuen Long, Yuen Tsuen Ancient Trail is a hidden treasure where you can check out the harbour channels around Tsuen Wan and Tsing Yi, as well as Tsing Ma Bridge and Ting Kau Bridge. In the middle of the hike, you will come across Tin Fu Tsai Campsite, so you can take a rest and devour your packed lunch. This hiking trail is perhaps one of the best spots to catch a sunrise in Hong Kong. Literally meaning ‘Chinese Firebird Mountain’, it’s actually two peaks in one, grouped together as a single mount. While Lantau Peak is known for its sunrises, Sunset Peak is known for, well, sunsets. The mesmerising Lantau Trail is every hiker’s playground with some of the best views in Hong Kong and a variety of different terrains that suit both beginners to trail-running professionals. 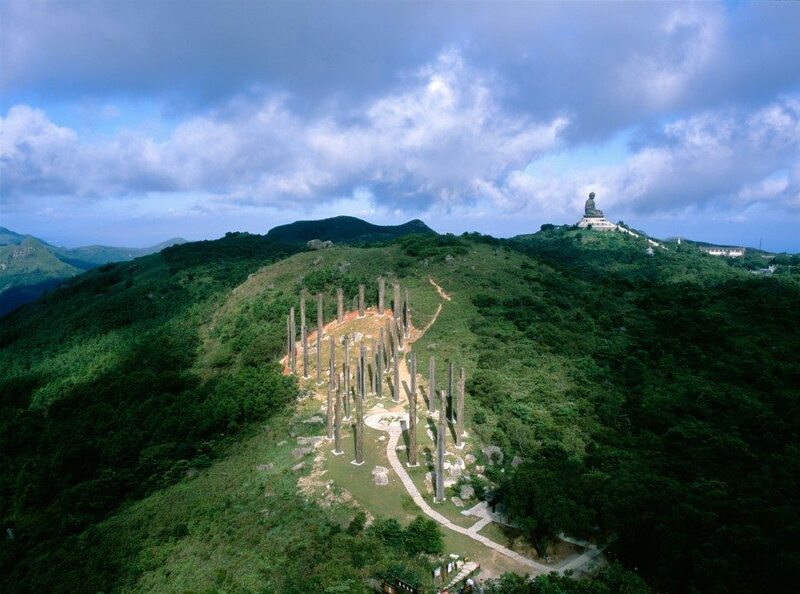 Although a difficult, arduous trail, it’s a truly rewarding one, as hikers will pass through the mystical, Wisdom Path, a surreal journey of huge wood carvings and enjoy bird’s eye views of Cheung Sha Beach and the world’s tallest outdoor-seated bronze Buddha statue. To get there: Take the MTR to Tung Chung MTR Station, hop on 3M bus and get off at Pak Kung Au. 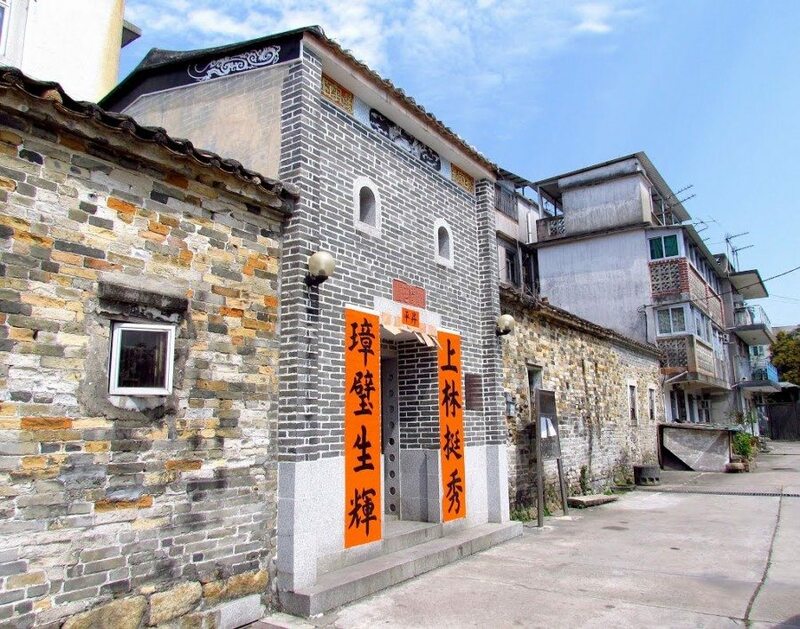 Start your hike at Wu Kau Tang Village, and on the way find yourself walking by small village houses and in a large forest that is home to many birds and wildlife. The extremely difficult hike takes an average of one and a half hours, but is great in the summer, as trees cover the path, providing a lot of shade and a stream nearby that keeps the path quite cool. The end destination of the trial is an abandoned Hakka Village, a hidden cultural gem in Hong Kong. To get there: MTR to Tai Po Market and use Exit B. Take bus no. 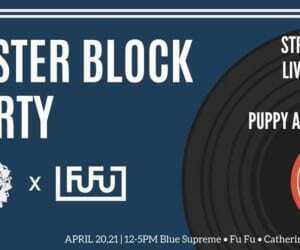 20R to Wu Kau Tang. Whether you are an earth-science fanatic, professional photographer or the super-adventurous type with a ‘never-say-no’ spirit, you will marvel at the some of the world’s most magnificent geological sites and breath-taking beaches on the MacLehose Trail. Begin with some fun cliff-jumping at Sheung Luk stream, just don’t forget to pack your swimsuit! However, it’s the Sai Kung section of this enjoyable trail that deserves a mention featuring stunning sea caves, sea stacks, hexagonal columns and dykes. And we’re not going to lie – many don’t last till the very end of this trail, but if you do reach MacLehose Stage 5, you’ll see an option to head to Lion Rock – definitely do this as historic monuments await along with a full monkey colony, which makes for Insta-worthy snaps. Just don’t be too loud, as the monkeys don’t like it! 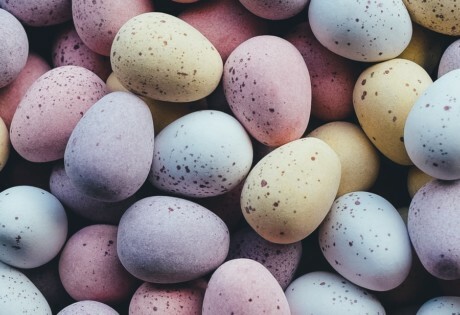 To get there: Take the MTR to Diamond Hill Station and use Exit C2. Take bus no. 92 to Sai Kung Town. The Tai Mo Shan Trail is incredibly challenging and is only recommended for those adventurous and advanced level hikers who often go hiking in Hong Kong. There are many sessions available on the trail to take, with many different trails that lead to numerous places in the area. 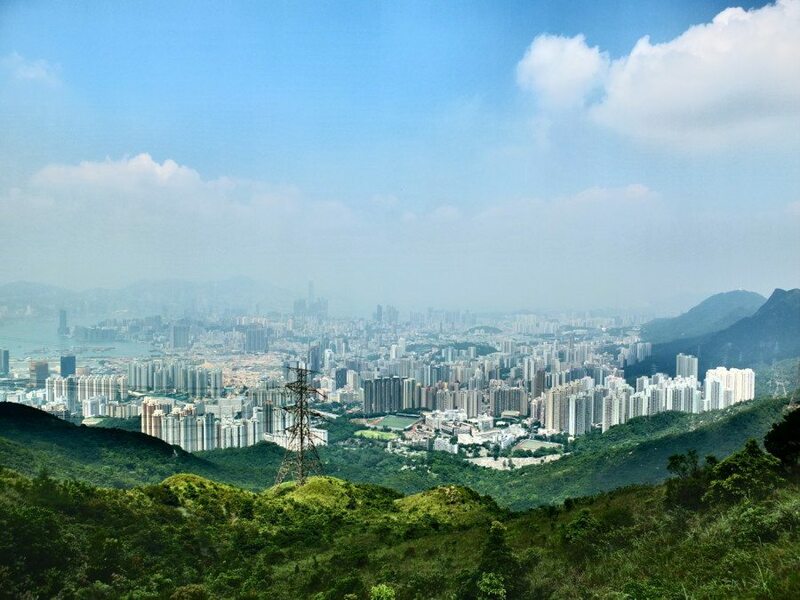 Climb one of the highest mountains in Hong Kong – Tai Mo Shan, which has an absolutely stunning view of the city. There is also a lead mine pass hidden deep in the forest filled with abandoned mines, some which are over centuries old. We recommend taking the trails to Shing Mun Reservoir as it’s a great spot to take in the scenery and enjoy some much deserved lunch. 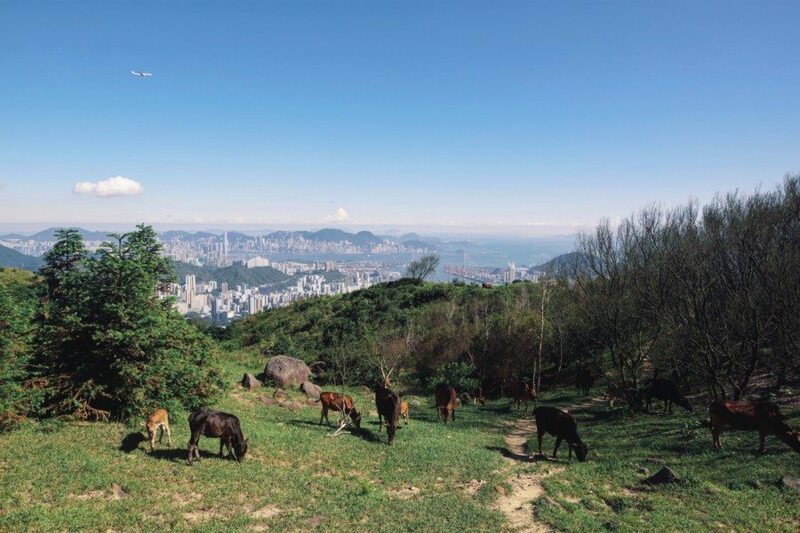 Dragon’s Back is one of Hong Kong’s most iconic trail and most popular hiking trails. Furthermore, it has been hailed by Time Magazine as Asia’s best urban hike. It’s a breezy path that takes hikers through shady groves of bamboo and lush woodland, accompanied by fluttering butterflies and the soothing sounds of birds. It finally emerges into open hillsides covered with wild azaleas or rose myrtle. A lot of hikers come to a small mountain gap high up on the Dragon’s Back to fly kites or jump off into the great blue yonder with paragliding wings – perfect for the adrenalin junkies out there. If you’re wondering where to go hiking in Hong Kong, then this is the place to start. To get there: Take the MTR to Shau Kei Wan Station and use Exit A to Shau Kei Wan Bus Terminus. Take bus no. 9 or the minibus with the sign ‘Shek O’ next to the bus terminus. Alight at To Tei Wan, Shek O Road. This easy hike is a unique trail in Hong Kong with a view of Kowloon on one side and Sai Kung on the other. 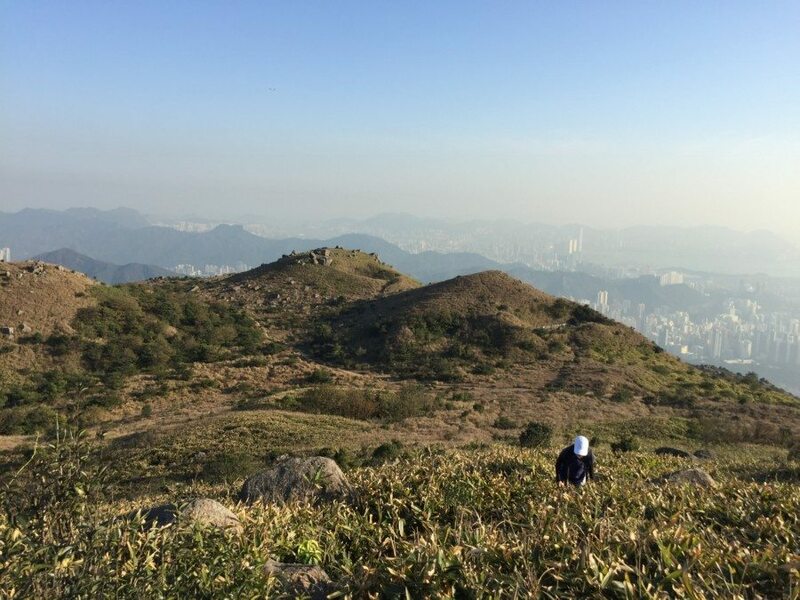 Tate’s Cairn Trail is a very open trail that is not crowded by many trees, but surrounds hikers with high views of mountain ranges in Hong Kong. The trail acts as both a hiking trail and a car path so be aware of vehicles when you hike. 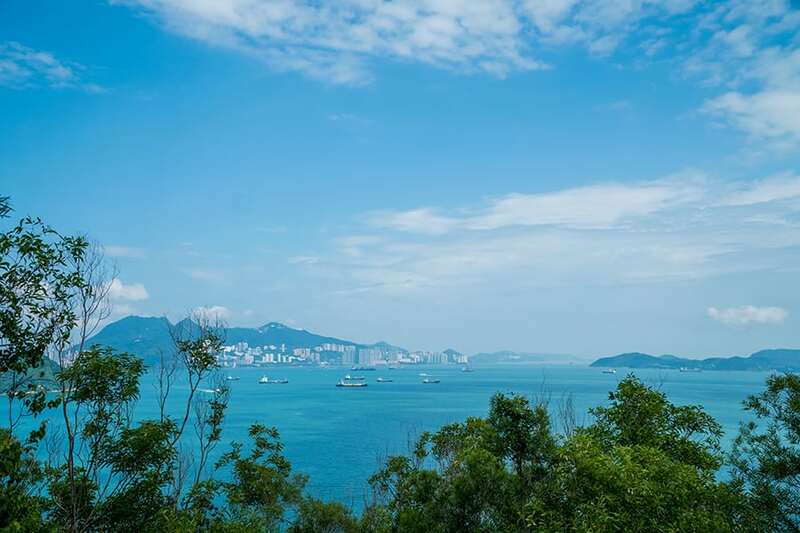 Want an easy hike and to see some wild monkeys in Hong Kong? 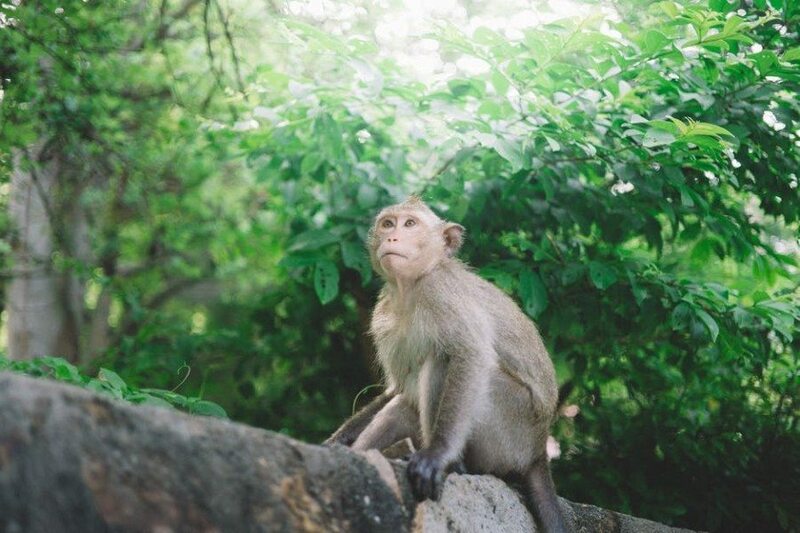 Explore the Kam Shan Country Park Trail and find many monkeys along the way, but beware that these animals will attack and steal, if they smell any traces of food on you. 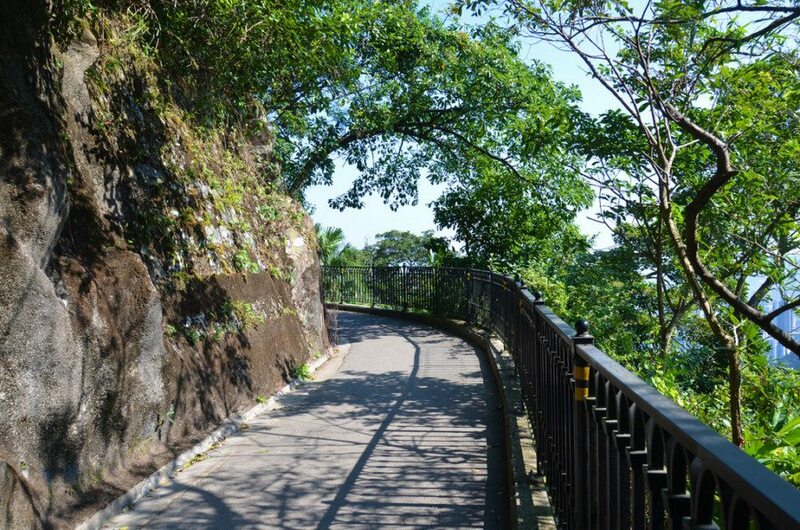 There are many path links on the trail, including ones that lead to the small Kam Shan Valley and others to the Shing Mun Valley. Amidst the city’s lush verdure and craggy hilltops, an hour before dusk is the perfect time to head to the summit of The Peak. On arrival, hikers will get to see a hundred million bright city lights start to twinkle in the city below. A hit with the locals and tourists alike, The Peak Trail is a walking trail designed for both exercise and educational attainment offering hikers with a better knowledge of the surrounding ecology with signs and boards explaining the flora that you may come across during your walk – ideal to keep the little ones entertained. And of course, there’s lots to rejoice over once you reach The Peak too! To get there: Take bus no. 13 from Central to Kotewall Road in order to begin the hike at Hatton Road. For the history buffs who love hiking in Hong Kong out there, head on down to Hong Kong’s first-ever heritage trail, which makes it to our list as it’s quite an educational hike and so well-preserved. Don’t be fooled by the name of this trail as there’s lots of walking and much to take in. 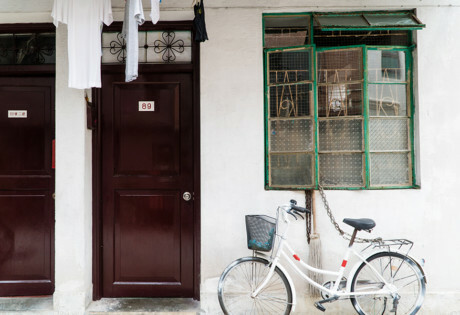 While you’re on this trail, don’t miss walking through 200-year-old walled villages along Sheung Cheung Wai, which are windows into the historic culture of Hong Kong. Featuring historic buildings belonging to the Tangs, the first and the most powerful of the ‘Five Clans’, the highlights of this 1km trail include Hong Kong’s oldest pagoda: Tsui Sing Lau Pagoda, the magnificent Tang Clan Ancestral Hall, and the Ping Shan Tang Clan. 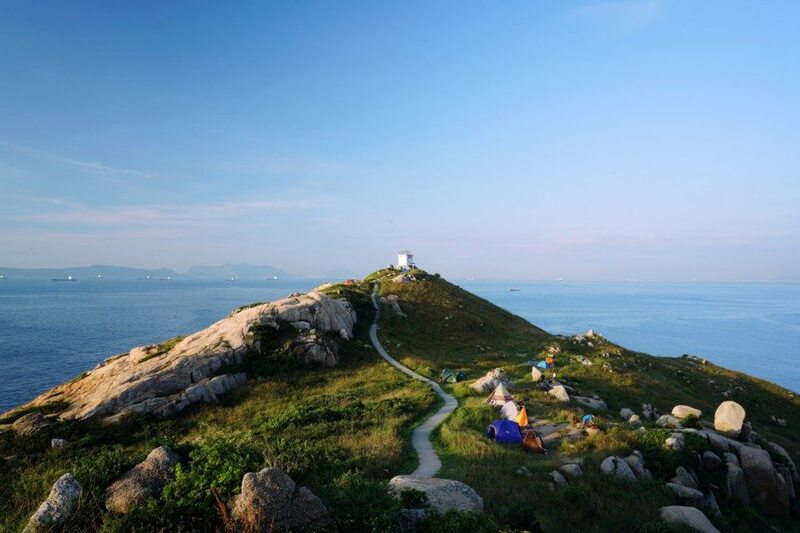 To get there: Take the MTR to Tin Shui Wai Station and use Exit E.
Located on the quiet island of Peng Chau, the hike up Finger Hill is suitable for all levels, and is the perfect walk for the entire family to enjoy. Hike through beautiful forest for just 45 minutes and then reach the seating are with stunning views of Disneyland and Tsing Ma Bridge. 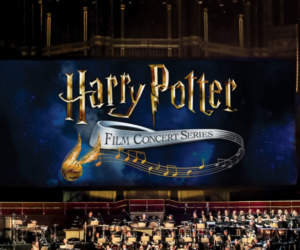 Don’t forget to pack your camera for this one! 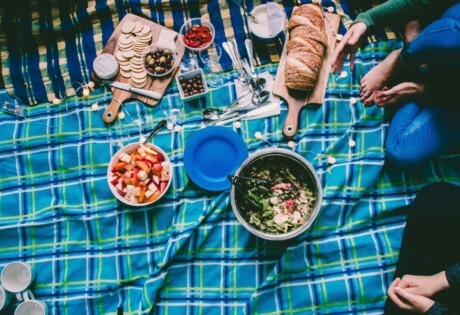 Spending time outside is also a great way to reconnect us with nature, just don’t forget to pack your sunscreen! 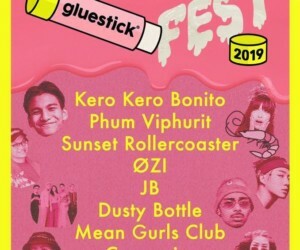 Looking for more fun things to do other than hiking in Hong Kong? Find out more about the new cultural hub Tai Kwun in Central, escape the city to Chi Lin Nunnery or give the vegetarian Korean buffet at The Joomak a try.